The Branch Striking Competition was held at Oakdale last Saturday. The whole event was organised by Matthew Pike, the branch ringing master and was very well supported with 13 teams in all taking part. The sun shone, the local band made everyone welcome and there was plenty to do whilst waiting to ring. There were cake decorating and limerick competitions, tune ringing and change ringing on handbells, a simulator to try, a quiz to complete and of course unlimited cups of tea. We were able to enter two teams from Hampreston, one ringing Grandsire doubles in the main competition and the other ringing call changes for the Novice event. 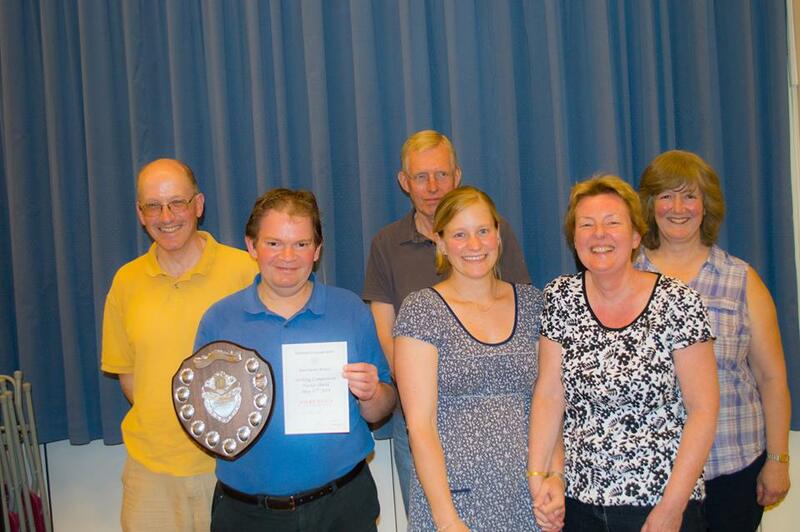 Everyone stayed for the results and we were really delighted to hear that we had won the Novice Shield. Well done Richard, Gay and Phil and special congratulations to our newest member Harry who has only been ringing since August and also to Kaz who has barely touched a bell rope for several years. The main competition judging was left until last and we held our breath as the results were announced in reverse order. For many years Swanage and Wimborne have been the two top teams in the branch with us often in third place. We were down to the last three once again. Third came Swanage – that meant we’d equalled our best ever result of second last year. Second place Wimborne ………. we’d done it! 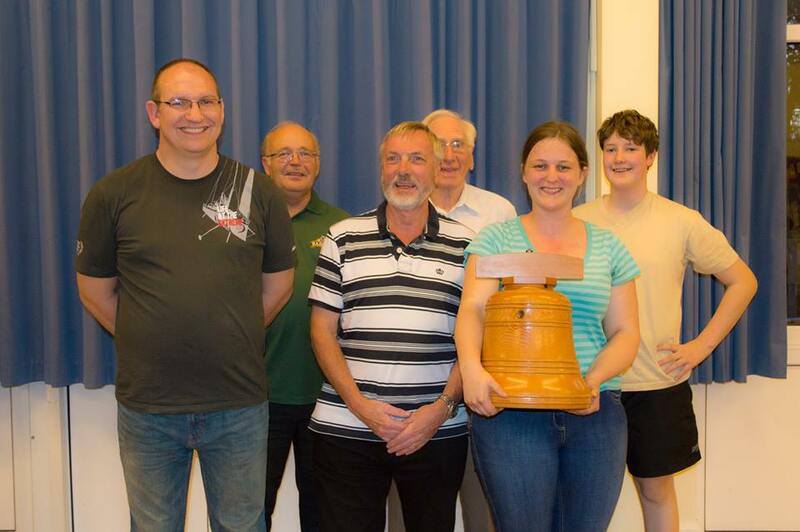 For the first time ever, Hampreston were presented with with the large wooden bell as 2014 striking competition winners. Congratulations to Jack, Linda, Tom, Mike, Chris and Laurie(below). What a team!